Why is Home Pest Inspection Important? When a home has had a pest and termite inspection there is a greater sense of comfort because the presence of bugs, insects, rodents and other invasive creatures have been removed from the property. The owner is able to rest assured that the home is a place that is free from those types of pests. An additional advantage of doing home pest inspection is the peace that comes from knowing the interior structure of the home is still intact. 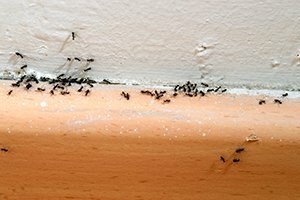 Some insects like carpenter ants, bees and roof rats can get into a home’s interior walls, and attics and do real damage to the structural supports of a home. By having your home serviced by a pest inspection professional that risk for damage is removed and the home can continue to rest on a solid foundation. If you have ever gone to look for a new home you can usually tell when you looking at a home that has had a rodent, ant of other type of pest problem. It can be a real turn off for buyer looing at the property. The same principle is true for you when you go to sell the home. You need to make sure your home looks the best it can. Having a home pest inspection will help make sure that your home will be free of those pests making it easier to sell your home when the time comes. Another benefit from a pest inspection service is the added peace of mind you have as a home owner. By getting an inspection done and having any pests, rodents or other aggressive insects eliminated you can rest easy at night knowing that your home is safe and free of these threats. This will make living there that much better. Owning a home can be a blessing or a burden depending on how you take care of the problems you encounter as your own it. Making sure you hire a pest inspection professional like Northwest Pest and Termite Control can make a world of difference in your quality of life at the home. We are an experienced agency in dealing with all types of home threats. We are confident that we can help solve any pest, rodent or insect problem you may be having. Contact us today to see how we can help you today.